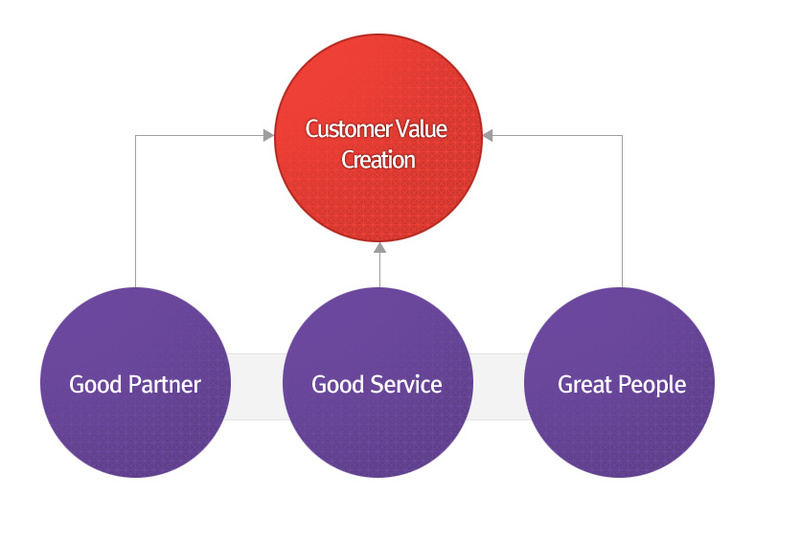 customers' requirements to provide optimized service to the customers. Qxpress is actively responding rapidly changing international logistics environment of the 21st century and based on the stable platform logistics specialized in E-commerce, we provide an optimized E-commerce distribution service that can maximize the competitive global services from warehousing, ordering, inventory management, product packaging, sales agent, delivery, to customer service. Also, to create a customer value in a variety of other logistics, we are investing heavily in a global network of business. To establish logistics base to help grow into the largest global e-commerce logistics company and expand global network in the main hub of East Asia, including Singapore, based on aggressive investment in facilities, focused aggressive investment in facilities, many years of experience accumulated by Qoo10 -commerce logistics service and a solid delivery service armed with Good Partner, Good Service and Great People, we are contributing to customer value creation.